When I moved to Vancouver in 2007 my workplace sent me to the Web of Change conference (they noticed that their volunteer manager kept asking why the database was broken) where I first encountered the progressive nonprofit tech community. IT BLEW MY MIND! I discovered an entire new universe that week at Web of Change and it changed the course of my life irrevocably. The friendly conference attendees scoffed at my naiveté and recommended that I start attending Vancouver’s Net Tuesday, which had recently been formed. I did. And I learned, while sitting quietly in the back. But after a few months the organizer (Joe Solomon, who went on to 350.org and #GreenMemes) left town. The idea of the group folding was too tragic, so I volunteered to take it over. And four years later here I am! But WHY did I decide to take on Net Tuesday Vancouver? I was in a new city and I didn’t know anybody. I discovered that being a NetSquared organizer turned me into a community hub – I quickly met all the key players in the sector, many of whom have become friends. It can be hard to find local nptech-ies without a Net2 group! I can get really quiet in a group of people, unless I have a clearly defined role. Being the “host” of a meetup gives me an “in” to talk with people. I spent my 20s doing production on large outdoor festivals. I didn’t want my event skills to atrophy. Somewhere along the way life taught me that the more I gave the more I received. I enjoy serving others, and being a NetSquared organizer has been the most rewarding volunteer gig I’d ever taken on. This entry was posted in Uncategorized and tagged Net Tuesday, net2, net2local, story of self on May 29, 2013 by elijahv. Where: SAP Executive Briefing Centre, 910 Mainland Street, between Smith and Nelson, Vancouver, BC. Digital storytelling is “using the tools of digital media to craft, record, share and value the stories of individuals and communities, in ways that improve our lives” (Center for Digital Storytelling). Non-profit organizations can now leverage an ever growing number of tools to harness their stories, communicate with stakeholders, and further their mission. This panel discussion will showcase some digital storytelling tools with examples of them at work, providing attendees with new mediums and skills in conveying your organization’s message. Phillip Djwa – Agentic Digital Media – @phillipdjwa – Phillip is a certified Internet Marketing specialist and strategist with more than 18 years experience in the high-technology industry. During this time, Phillip has worked on a wide range of technology and web-integrated communications projects for Fortune 500 companies, high-tech start-ups, and not-for-profit organizations. 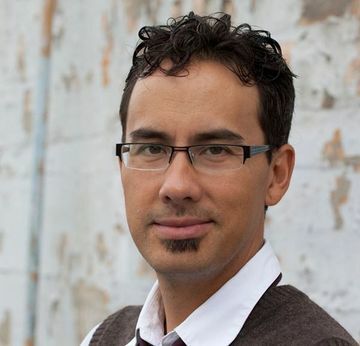 Jason Toal – http://www.jasontoal.ca – @draggin – By day, Jason works in an educational support unit that delivers e-learning solutions to the teaching community. By night, he participates (and DJs) in an open Digital Storytelling course (DS 106) out of the University of Mary Washington. DS 106 explores the web as a culture, as a media source, and as a place to publish in the open. Vanessa Chase – Philanthropy for All – @vanessaechase – Vanessa is a writer, non-profit collaborator and philanthropy advocate. Her interest in storytelling and donor relations drives her work. She has worked for several non-profits in Vancouver, Canada as a fundraiser and communications specialist. Vanessa utilizes stories to emotionally connect donors to the organization’s mission in a way that inspires their involvement. 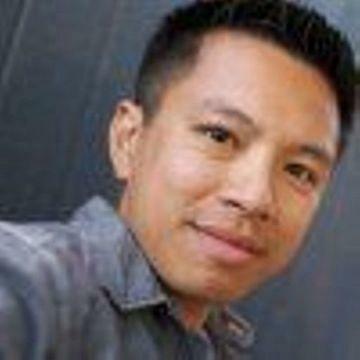 Andrew Nguyen – Lemongrass Films – @andrew_director – Andrew has worked with numerous organizations to make films that move people and influence thinking. He focuses on projects that contribute to social value and affect positive social change. Working closely with clients, he develops story ideas that respond to a client’s communications objectives and resonate with the intended audience. BONUS – 5:55-6:00pm: #StruttaCares promo by Tina Hoang. This entry was posted in Uncategorized and tagged #tsdigs, digital storytelling, Net Tuesday, panel, Vancouver on March 17, 2013 by admin. Tablets & smartphones: Gadgets for Good? Mel Findlater shares how tablets and smartphones such as the iPad and iphone really can create social change in education, for people with disabilities, older people, and in your everyday productivity. Melanie Findlater (melfindlater) on TwitterInstantly connect to what’s most important to you. Follow your friends, experts, favorite celebrities, and breaking news. See more sections below… Photos, feeds, links and our glorious hosts. Video by Eoghan Moriarty of Mindagape Creative. The video is dark, but the audio mix is SWEET! MyChoicePad – Be heard. Be cool. Be you.MyChoicePad – an educational Makaton iPad app for children and adults with learning or communication difficulties. Popplet | Collect, curate and share your ideas, inspirations, and projects!Popplet is an app for the web and iPad, where you can collect, curate and share your ideas, inspirations, and projects. An finally but not least our great hosts for the night. This entry was posted in Event report and tagged Gadgets, Mel findlater, Net Tuesday, netsquared cambridge on January 12, 2013 by admin. Frontier Consulting‘s Ben Johnson delivered a humdinger of a presentation for Net Tuesday. It was so jam-packed full of information that no notetaker could hope to keep up. Luckily for us Ben has generously agreed to share his slides. Linda Liu was our photographer again (yay!) and has already shared the first 10 photos from the event. I took those photos and used Animoto to create a video slideshow. Oh, and charities are eligible for a free upgrade on their Animoto account. Amy and Helen were awesome in their tag-team role as greeters! David Gloyn-Cox has offered to join our volunteer team. Yay! Linda is already uploading photos. Rita Jasper recorded the whole event and is planning on producing a series of short excerpts. I’m really excited to see what she creates. Go Rita! Kelvin expertly conducted our online symphony last night. It’s a beautiful thing. Interested in joining the volunteer team? Give us a shout! And lastly, please join me in congratulating my co-organizer Chad on being a new father of twins!!!! This entry was posted in Event report and tagged animoto, ben johnson, Net Tuesday on November 8, 2012 by admin. 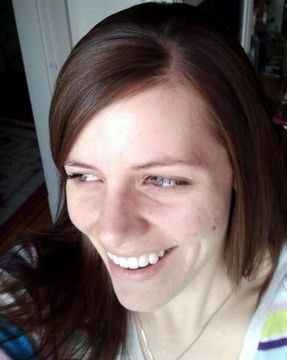 We’re thrilled to have Lauren Bacon of Raised Eyebrow web studio presenting the October 2011 Net Tuesday. When it’s time to overhaul your website, the task at hand can feel overwhelming. Where do you start? Content, functionality, and design are all vying for first place, and everyone in your organization probably has a different idea of what’s top priority. In this one-hour session we’ll share tips for how to corral your team, clarify your needs, and set the stage for a successful redesign project. Our specialty is working with nonprofits and public sector organizations, so we will bring that focus to this session. Lauren is a veteran web designer, who co-founded Raised Eyebrow Web Studio, Inc. with her business partner, co-author, and all-around right-hand woman, Emira Mears. The two have been in business together since early 2000, and are advocates of values-based business and of sustainable growth. From humble beginnings in a corner of Lauren’s bedroom, to a small office in Vancouver’s historic Gastown district, Raised Eyebrow has expanded gradually to include a staff of five. Net Tuesday is thrilled to have the W2 Media Cafe as our venue sponsor for the 2011-12 season. They do cool things. Check them out! This entry was posted in Net Tuesday and tagged Lauren Bacon, Net Tuesday, Raised Eyebrow Web Studio on September 12, 2011 by elijahv. Governments around the world are experimenting with social media as a site of civic engagement. Online public participation is a young field however, and little is known about the benefits or limitations of these projects. Key issues that must be considered include anonymity, privacy, government activity in privately operated spaces, demographic diversity, delineating between crowd-appropriate and expert-appropriate tasks, community building and more. Vancouver was recently the home of an innovative Facebook based public conversation. Hundreds of Vancouver residents and commuters participated in a July 2011 Facebook conversation about the City of Vancouver’ Transportation Plan. Using a uniquely developed Facebook app, this ground breaking social media conversation asked Vancouverites to share their own commuting stories, learn about key issues, propose transportation recommendations to the City. This project was both an innovative engagement exercise in partnership with the City of Vancouver and it was the focus of Susanna Haas Lyons’s masters thesis research with the University of British Columbia. The City has already written a response to recommendations resulting from the conversation, and these ideas will be considered for integration into the City’s draft transportation plan. Results of the research are emerging. Susanna Haas Lyons is a public engagement specialist who develops strategy and provides training for better conversations between the public and decision makers. Bridging online and face-to-face methods, Susanna has worked on some of North America’s largest and most complex citizen engagement projects. Currently, Susanna is researching collaborative policy development, with a focus in digital engagement practices, at the University of British Columbia’s Institute for Resources, the Environment and Sustainability. She is also a senior network associate with AmericaSpeaks, a global leader in large-scale public participation. Previously, Susanna was project coordinator with the British Columbia Citizens’ Assembly on Electoral Reform, which was shortlisted for the prestigious Mohn Prize. She holds a certificate in Public Participation from the International Association for Public Participation, and is an advisor to the Alberta Climate Dialogue project. This entry was posted in Uncategorized and tagged Facebook, Greenest City, Meetup, Net Tuesday, usanna Haas Lyons on September 11, 2011 by admin. 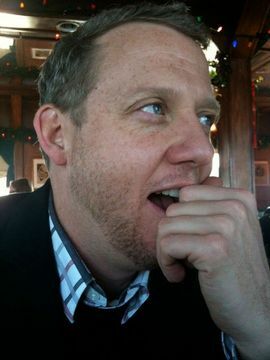 Darren Barefoot presented at the September 2011 Net Tuesday and he killed. The kid’s a pro. He generously offered his slide deck and allowed us to record the session. P.S. Darren and Julie Szabo also offer a Social Media Marketing Bootcamp. The next one is on October 21. This entry was posted in Net Tuesday and tagged Darren Barefoot, Marketing, Net Tuesday, slides, video on September 11, 2011 by elijahv.